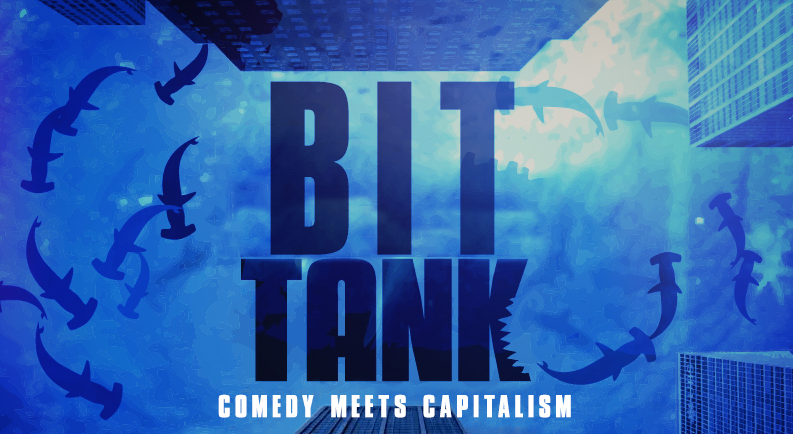 Bit Tank is the live reality show for people who like comedy, business, and the business of comedy. Aspiring comedy writers and performers jump in the Bit Tank for a chance to impress the sharks and turn their comedy gold into cold hard cash. Each show features entrepreneur-comedians pitching their bits to comedy’s biggest sharks. Former sharks have included: Aidy Bryant (SNL), Conor O’Malley (Late Night with Seth Meyers), Gary Richardson (SNL), Sunita Mani (GLOW), John Reynolds (Search Party, Stranger Things), Joe Pera (Joe Pera Talks with You), Chris Redd (SNL, Disjointed), Mitra Jouhari (High Maintenance), Ariel Dumas (Late Show with Stephen Colbert), Eleanore Pienta (Cocoon Central Dance Team), Ana Fabrega (HBO), Katie Rich (Weekend Update), Carmen Christopher (The Chris Gethard Show), Asher Perlman (The Opposition), Tanner Tannenbaum (Rick and Morty), Mike Hall (Big Ten Network), and many more comedians, performers, and directors.